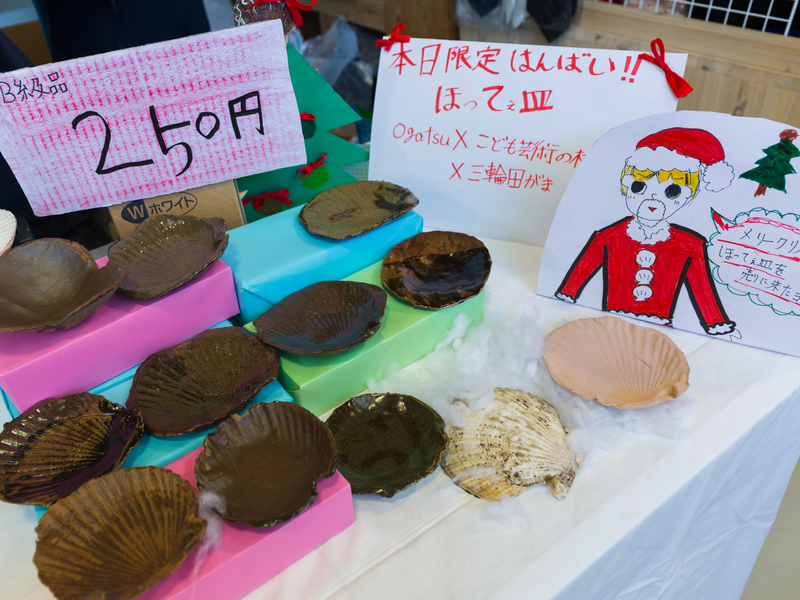 Children drew a design on naruko kokeshi dolls and tied a mizuhiki ribbon on each one, to make their own creations called “Iwai-Kokeshi.” Iwai-Kokeshi were displayed at the 63rd National Kokeshi Festival in Naruko, Miyagi. 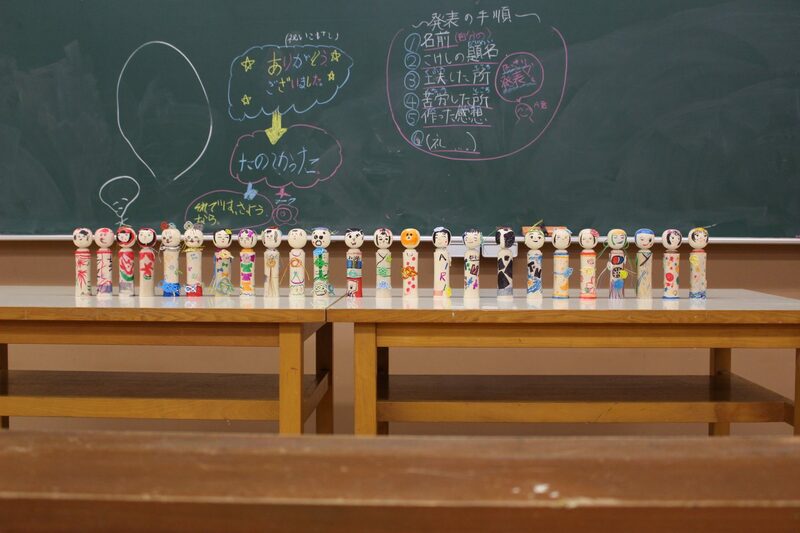 The Iwai-Kokeshi is original creations by the Art Village for Children made using traditional naruko kokeshi and mizuhiki ribbons, which are often used to decorate gifts on auspicious occasions. 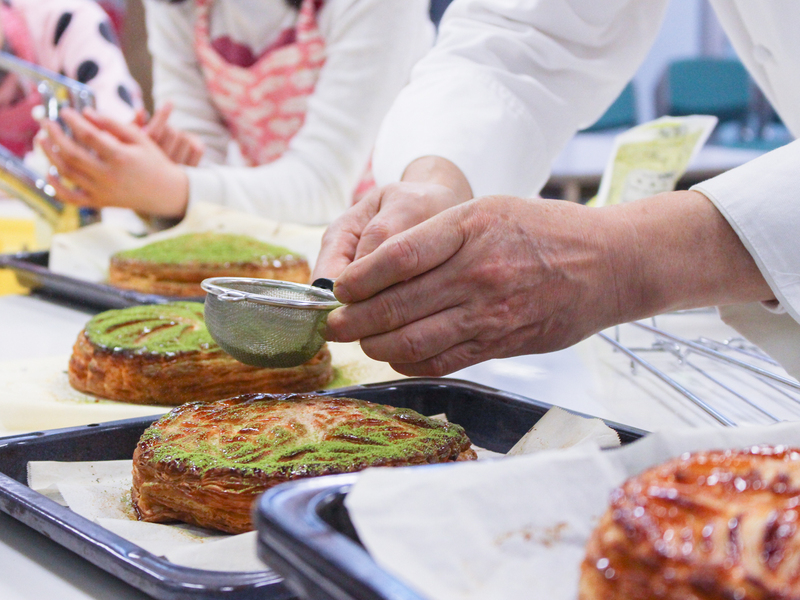 The first workshop was held in Naruko last year, but the venue was moved to Sendai for this second workshop. 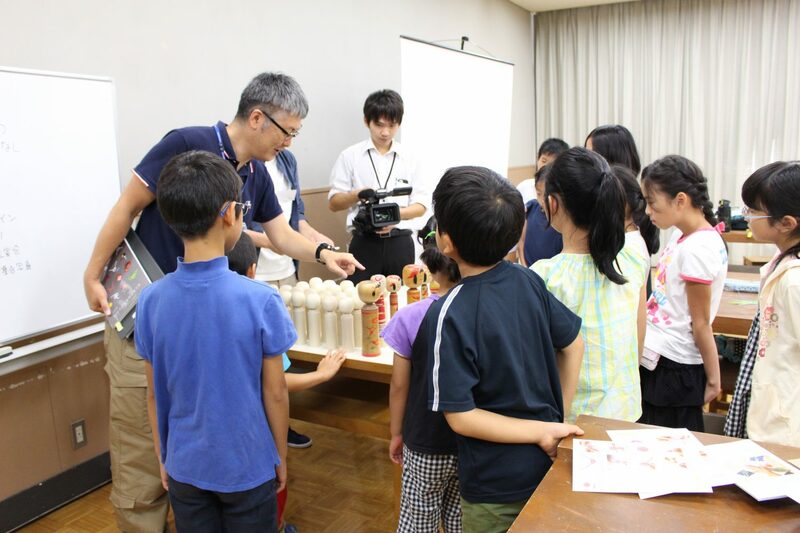 The workshop began with Mr. Sakurai, a kokeshi craftsman, teaching the children about the history of kokeshi and the crafting processes used to make them. 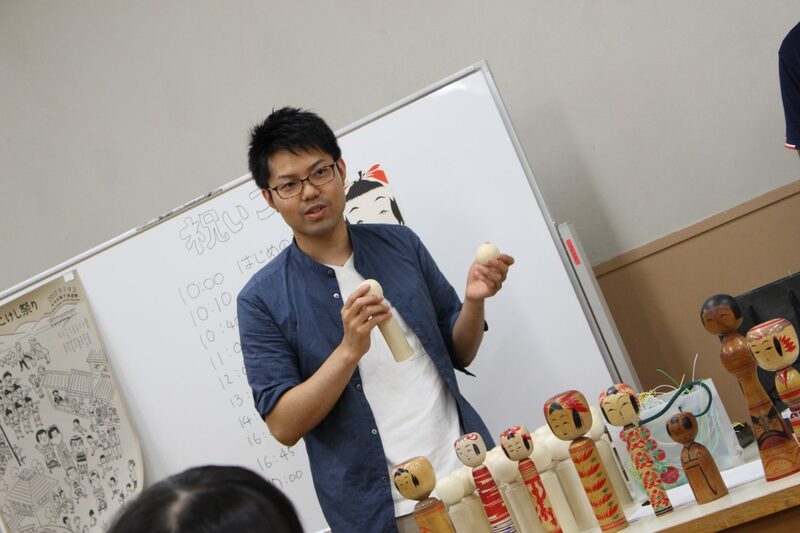 He then passed around various types of traditional kokeshi, and the children examined the differences between each type’s form, design, and color. According to Mr. Sakurai, naruko kokeshi are unique in that when the head section of one is turned it makes a sound. The children were happy to test this out. Kokeshi should not be used in this way, but today was a special exception since the children had the permission of a certified kokeshi craftsperson to try it out. 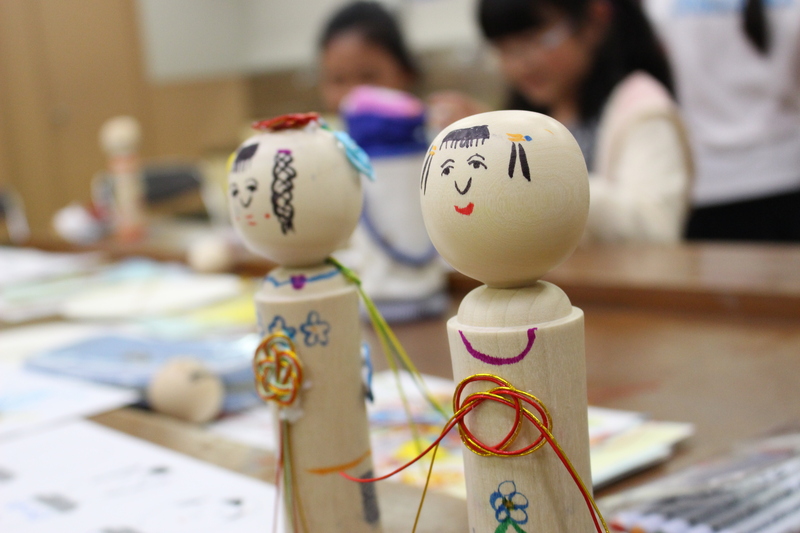 Once the children began creating their Iwai-Kokeshi, they created many unique works not bound by the forms of tradition: some mizuhiki were made to look like Sendai’s tanabata pennants, or kokeshi without faces. Additionally, the children were very independent in their projects, bringing in designs they had prepared beforehand, or proposing presentation elements after crafting their creations. 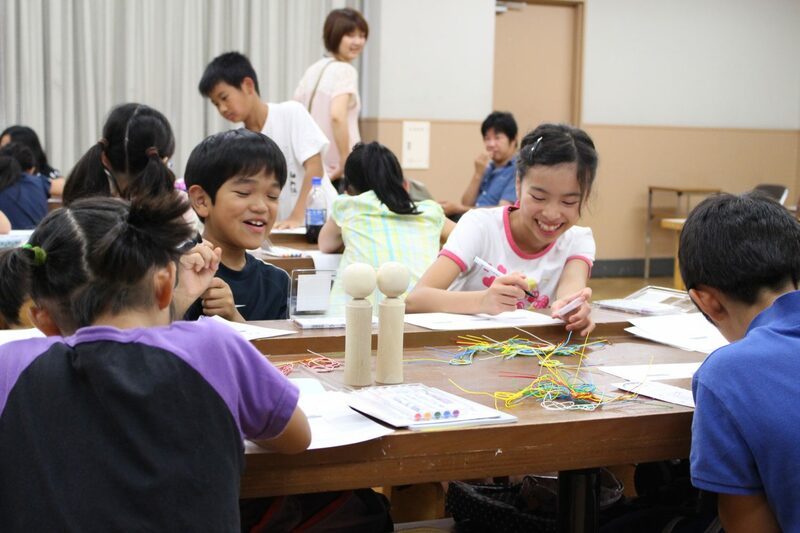 The Iwai-Kokeshi created by the children at this workshop were displayed at the 63rd National Kokeshi Festival held in Naruko Onsen on September 2 and 3, 2017. They decorated the venue alongside traditional kokeshi made by famous kokeshi craftspeople.